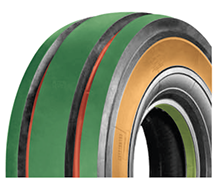 Ecomega is proud to announce the launch of its new M4PU tire for straddle carrier machines. This latest model has been developed to meet the specific needs of straddle carrier users, after 5 years studies and a complete remake of the casing structure. Ecomega M4PU will satisfy O.E.M. producers and customers’ demands. 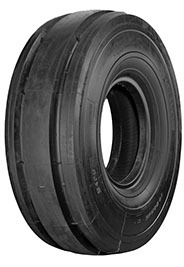 All specifications are according to the European Tyre and Rim Technology Organization (E.T.R.T.O.) Standards designed for exceptional durability, with a greater resistance to wear and tear. The large center contact area assures an uniform distribution of the load, avoids vibrations and the external wide groove brings major traction power. The casing is built with an extra protection against high temperatures and damages. Outstanding durability, maximized productivity, low operation costs, stable and comfortable ride are the highlight of this tire.